A. The scene of God’s judgment. 1. (1-3) The scope of the judgment of the LORD. a. Behold, the LORD makes the earth empty: Isaiah invites us to behold, to look upon the scene of God’s judgment. The principles revealed here apply universally to the judgment of the LORD, but the ultimate fulfillment of this will be in the ultimate period of judgment, the time of the Great Tribulation (Matthew 24:21-22), which will immediately precede the second coming of Jesus Christ (Matthew 24:29-30). i. In the days of the Great Tribulation, the earth will not be literally empty, but Isaiah’s poetic description applies, because the earth will seem empty in many places. More than one-third of humanity will die in the judgments of the great tribulation (Revelation 9:15-21), making the areas hardest hit seem as if the earth were empty. b. As with the people, so with the priest; as with the servant, so with his master: In these comparisons, Isaiah shows that a high station in life (priest… master… mistress… seller) will not protect one from the judgments of the LORD. As well, a low station of life (borrower… debtor) will not protect one either. When the judgment of the Great Tribulation comes, it will be complete in its scope! i. Some who believe that the church will be left on the earth to endure the Great Tribulation believe that God will miraculously protect Christians during that time, so they face none of the judgments of the LORD, only perhaps persecution from the Antichrist. But this passage reinforces the idea that the judgments of the LORD during the Great Tribulation will be universal in their scope, and that no class of people will be immune from the general judgment of the LORD. Therefore, it makes sense for God to remove as His redeemed before this period of Great Tribulation, so only those who trust in Him during the Great Tribulation have to suffer under these judgments. 2. (4-6) The reason for judgment. The haughty people of the earth languish. And those who dwell in it are desolate. a. The earth mourns and fades away: Why does the earth mourn? Because in the Great Tribulation, the earth will be terribly afflicted by the judgments of the LORD. Revelation 8:7-13 describes the terrible effect of the judgments of the LORD upon the earth. i. Is this God’s fault? Does God hate the earth? No, this is the fault of man: The earth is also defiled under its inhabitants. Man has defiled the earth with his sin and great wickedness, so the earth must endure some of the righteous judgment of God also. 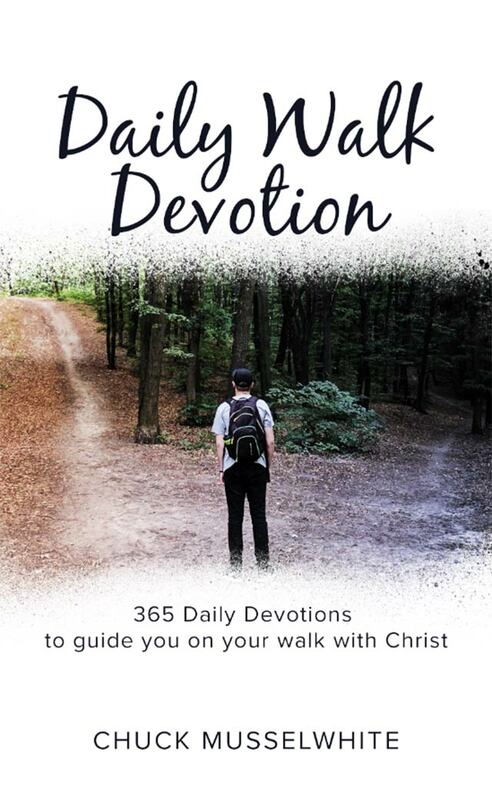 In this sense, the most ecologically responsible thing anyone could do is to honor the LORD God, walk right with Him, and in obedience to Him! ii. This passage is a good reminder of the principle that God is greater than His creation. The Bible never teaches the New Age idea of God that He is somehow bound up together with what He has created. God is separate from His creation, and when the earth fades away, when the world fades away, the LORD God will remain unchanged. b. Because they have transgressed the laws: The idea of transgression is to step over the line that God has established. God has set boundaries for us, but many of us don’t want to see or respect God’s boundaries. i. Transgression is the spirit of our age. Notice the slogans from recent national advertising campaigns: Nothing is taboo… Break all the rules… To know no boundaries… Relax: No rules here… Peel off inhibitions. Find your own road… We are all hedonists and want to do what feels good… That’s what makes us human… Living without boundaries… Just do it. The idea is constant: you don’t have to respect God’s boundaries, because you can make your own and live by them. i. Mankind has changed the law of God in the sense of changing the basic moral code which men have recognized and lived by for centuries. When once it was universally recognized that it was wrong to lie, wrong to cheat, wrong to be sexually immoral, wrong to do so many other things, today all of that is approved and celebrated! We have changed the ordinance, and are ripe for judgment! ii. Mankind has changed the word of God by replacing it with substitutes, or by fashioning it into something more suitable to his liking. Every time a preacher soft-peddles the gospel, every time a politician twists the Scriptures to rise in the opinion polls, every time a counselor wrenches the context of God’s word to make it fit a crazy psychological theory, they have changed the ordinance, and are ripe for judgment! d. Because they have… broken the everlasting covenant: God has entered into covenant with man, and man has turned his back on His covenant. Instead of receiving God’s everlasting covenant, man wants to make up his own way with God! i. There is no single covenant known as the everlasting covenant because the title applies to several different covenants. The covenant God made with mankind after the flood, never to judge the world again by water is called an everlasting covenant (Genesis 9:16). The covenant God made with Abraham and his descendants is called an everlasting covenant (Genesis 17:7, 13, 19). The covenant God made with Israel and the priesthood is called an everlasting covenant (Leviticus 24:8). 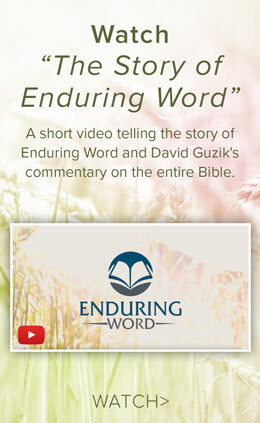 The covenant God made with David, to bring the Messiah from his line, is called an everlasting covenant (2 Samuel 23:5). The New Covenant is called an everlasting covenant, both prophetically (Jeremiah 32:40) and after its establishment (Hebrews 13:20). e. The curse has devoured the earth: There is a reason for this curse. Man’s hardened, repeated rejection of God will bring the ultimate judgment: the Great Tribulation. 3. (7-13) The scene of judgment. The joy of the harp ceases. Every house is shut up, so that none may go in. And the gate is stricken with destruction. a. All the merry-hearted sigh: When the LORD brings the judgment of the Great Tribulation, there will be no more “partying as usual.” The days for eating and drinking, marrying and giving in marriage (Matthew 24:38) are for before the Great Tribulation. When the Great Tribulation comes, the noise of the jubilant ends, the joy of the harp ceases. b. In the city desolation is left, and the gate is stricken with destruction: During the Great Tribulation, God’s judgment will bring destruction everywhere. The judgment will be so complete that the cities will look like olive trees bare (like the shaking of an olive tree) and grape vines striped of everything (like the gleaning of grapes when the vintage is done). 4. (14-16) The glory of God and the woe of man. They shall cry aloud from the sea. The name of the LORD God of Israel in the coastlands of the sea. But I said, “I am ruined, ruined! a. They shall lift up their voice, they shall sing: Even in the midst of great judgment, God has His own that praise Him. Before the Great Tribulation, God will remove all His people; but many come to trust in Jesus during the Great Tribulation, and these will praise Him in the midst of judgment (Revelation 7:9-14). b. Glory to the righteous: Why do they praise Him? Because even in His judgments, or perhaps especially in His judgments, the LORD shows His majesty, He shows His glory. The godly can see the goodness, the greatness, and the glory of God even in judgment, even when the treacherous dealers have dealt very treacherously. B. The character of God’s judgment. 1. (17-18) The judgment of the LORD will always be completed. Are upon you, O inhabitant of the earth. And the foundations of the earth are shaken. a. O inhabitant of the earth: The Book of Revelation, writing of this time of Great Tribulation, makes constant reference to those who dwell on the earth (Revelation 3:10, 6:10, 11:10, 13:12, 13:14). This is in contrast to those who dwell in heaven (Revelation 13:6), who are seated with Jesus in the heavenly places (Ephesians 2:6). Where do you sit? Where do you live? Are you an inhabitant of the earth, or do you sit with Jesus in heavenly places? b. Fear… pit… snare: Simply put, the judgment of the LORD is inescapable. If escape the fear, you will fall into the pit. If you escape the pit, you will fall into the snare. God’s judgment has enough back-up plans to catch everyone. The only way to escape the judgment of God is to satisfy it, and the only place God’s judgment was ever satisfied was on the cross. 2. (19-20) The intensity of the judgment of the LORD touches everything. The earth is shaken exceedingly. a. The earth is violently broken, the earth is split open: The Bible describes some of this judgment during the Great Tribulation (Revelation 6:13-14), and specifically mentions a mighty and great earthquake as had not occurred since men were on the earth (Revelation 16:18). No wonder Isaiah says, the earth shall reel to and fro like a drunkard! 3. (21-23) The judgment of the LORD will touch everyone. And on the earth the kings of the earth. After many days they will be punished. a. The LORD will punish on high the host of exalted ones: One of the more frustrating aspects of life is to see the rich, powerful wicked escape the present consequences of their sin. But in His great judgment during the Great Tribulation, no one will be able to buy a high-priced lawyer to escape judgment or bribe a politician to come out without being hurt. i. But Isaiah is probably speaking of something even higher than the exalted ones of this earth. Bultema and Wolf believe that the phrase the host of exalted ones refers to rebellious angels that are judged at the end of the age and imprisoned in the pit until the final rebellion at the end of the Millennium (Revelation 20:1-10). The NIV translates the host of exalted ones as the powers in the heavens above. b. The kings of the earth… will be gathered together, as prisoners are gathered in the pit: Under God’s great and final judgment, one’s status on this earth will buy them nothing. Poetically speaking, even the moon will be disgraced and the sun ashamed. No degree of earthly greatness will help man on that day, and no degree of heavenly greatness will help an angelic being on that day! c. The LORD of hosts will reign on Mount Zion and in Jerusalem and before His elders, gloriously: At the end of the Great Tribulation, God will usher in a thousand years of His glorious reign over all the earth from Mount Zion and in Jerusalem. God’s purpose in judgment isn’t simple vengeance or vindictiveness, it is to bring about a glorious new world.